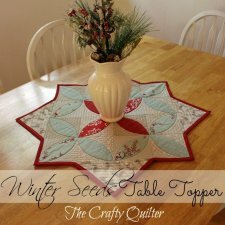 "I have a quick and easy table topper to share with you that would make a great hostess gift or an added holiday touch to any table! "I have always wanted to do something with the melon (or pumpkin seed) block and this little table topper fit the bill. 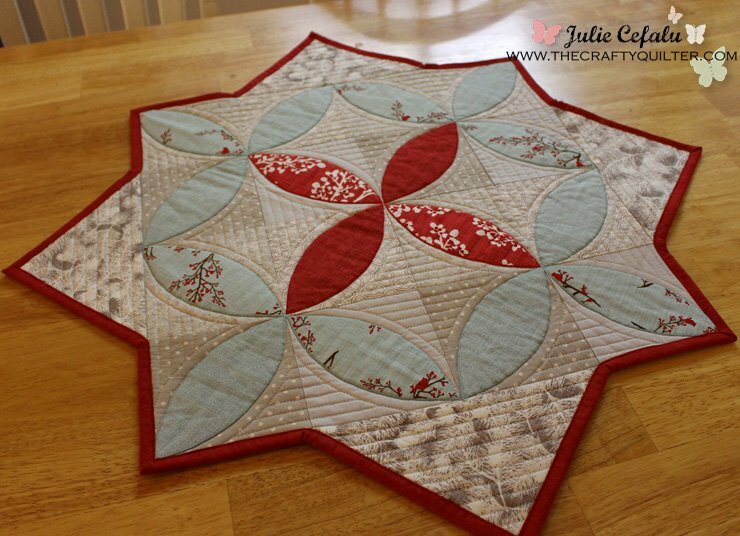 It has some simple applique and some fun angles to keep it fresh. "I used fabric from the Winter’s Lane Collection by Kate and Birdie Paper Co for Moda. This is one of my favorite holiday lines and I have a fat quarter of each piece in the collection!"